There is only a month left until the Assassin's Creed 4 release date, and the developers decided to introduce the game's characters to us. 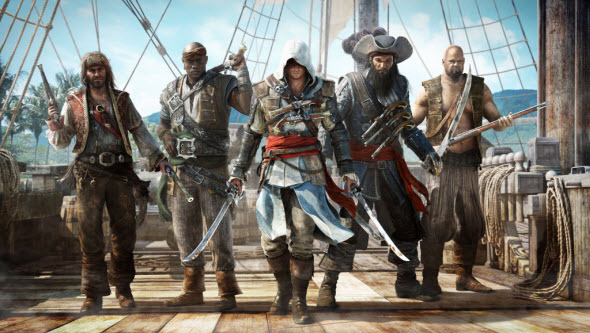 Yesterday new Assassin's Creed 4 trailer was published, and according to it there will be a lot of colorful personages in this piratic saga. And at the end we would like to remind you that your Assassin's Creed 4 adventure can start already next week, because a few days ago the developers presented special fans' site for those, who don't want to wait until the game's release date and would like to win several interesting Assassin's Creed 4 items.